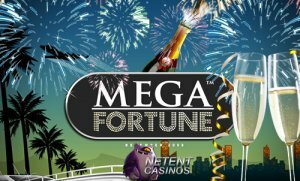 A new year has begun and with the latest Mega Fortune™ Jackpot win being five weeks and four days ago, it’s the very first large NetEnt Jackpot win in 2018 I’m about to announce. I’m sure many more wins will follow, but the €2.6 million jackpot win from last week seems to be a good start. Last year, NetEnt paid out a dazzling €78 million in jackpots with a total of 321 jackpots won in the entire year. 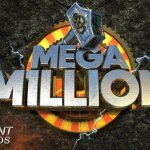 The largest Mega Jackpots won in 2018 amounted between €7 and €8 million with none of the NetEnt Jackpot wins exceeding the €8 million. A whopping €30.4 million was paid out via the Mega Fortune Dreams™ slot in 2017. 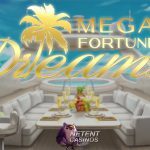 The Mega Fortune Dreams™ was the most popular jackpot slot thanks to the highest number of unique players and rounds played. While Mega Fortune Dreams™ was the most popular slot with incredibly fast-growing jackpots, it was the Hall of Gods™ video slot that has been responsible for the highest jackpot payout this year and the fourth-highest payout in NetEnt history. It was in June that a lucky player scooped a dazzling €7.5 million on Hall of Gods™. After such a successful jackpot year, I’m happy to announce the first jackpot win of 2018 after one of the NetEnt Casino players scooped the Mega Fortune™ Jackpot which climbed to a very attractive €2.6 million. As the win only took place 6 days ago, I don’t have much information to share with you yet. However, I do know that the exact amount showed a huge €2,553,090 cash prize.I also happen to know that it’s the 43rd win for the Mega Fortune™ slot. This means the NetEnt slot most probably created some 40 millionaires since it’s launch in 2009 with a few winners cashing the Mega Fortune™ Jackpot before a million euro has been reached. 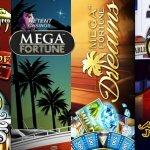 For a long time, the Mega Fortune™ slot was the most popular in the industry but over the years, many online jackpot games were launched and nowadays it’s pretty hard to conclude which of all these games is the most popular. With every Mega Fortune™ Jackpot win, the average amount won changes and right now winners cash around the €4.1 million. The first win of 2018 didn’t make it to this amount, but I’m convinced that some winners in 2018 will indeed cash around €4 million or even more. I guess the period of time between the wins used to be longer, the reason statistics show an average of 10 weeks for the Mega Fortune™ Jackpot to be won. However, having a look at the last few Mega Fortune™ wins, it seems that 5-7 weeks is the standard these days. This is good news as more winners will be created within a year, but do keep in mind that it’s just an average and statistics are no guarantee for the next jackpot win. The next win just can’t be predicted, no matter how many statistics I’ll write down for you. The only way to have a fair chance of winning a Mega Fortune™ Jackpot is by playing the Mega Fortune™ slot. 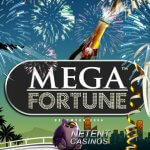 With a total of 3 jackpots linked to the Mega Fortune™ slot, this game is very attractive. If not the Mega Jackpot lands into your account, it might be one of the smaller local jackpots. And you never know what these smaller jackpots can lead to in the near future. Just keep dreaming as it might turn up in your dream becoming reality! It happened to some 40 players in the past years, remember?